One thing we can always count on from Zara is that the fashion brand is on top of the trends. There's a constant stream of new arrivals, but when we're in need of a little shopping inspiration, it's the website's "trending picks" section that we make a beeline for. It's the one part of the site that takes into account what everyone is currently shopping for, which makes it an ideal place to spot emerging trends. If there's one style that's currently dominating, it would have to be eye-catching sleeves. 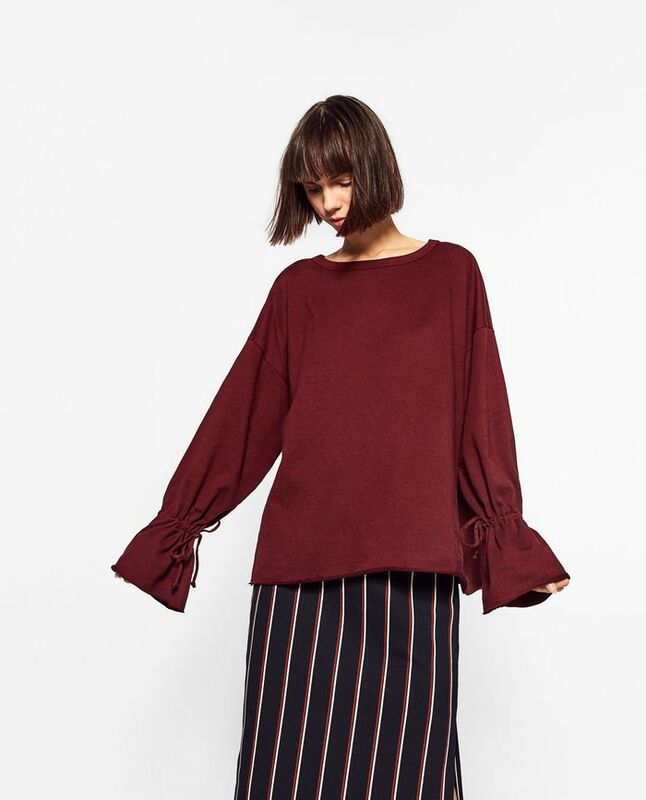 We spotted a handful of styles with ruffles, high-volume, and bow-details that have apparently caught the eye of Zara shoppers. The pretty pieces feel right on point for the holiday—festive, without ever being over the top. Styled with a skirt, or dressed down with jeans, it's easy to image this major winter trend making its way into your wardrobe. Curious to see the trending picks that are dominating Zara right now? Read on to check them out! Just don't let these sleeves fall in your soup. Shimmy away in this frilled top. This sleeve situation is pretty darn awesome. Get romantic with this festive top. You'll stand out from the crowd in this satin stunner. What trend are you into right now? Let us know in the comments!